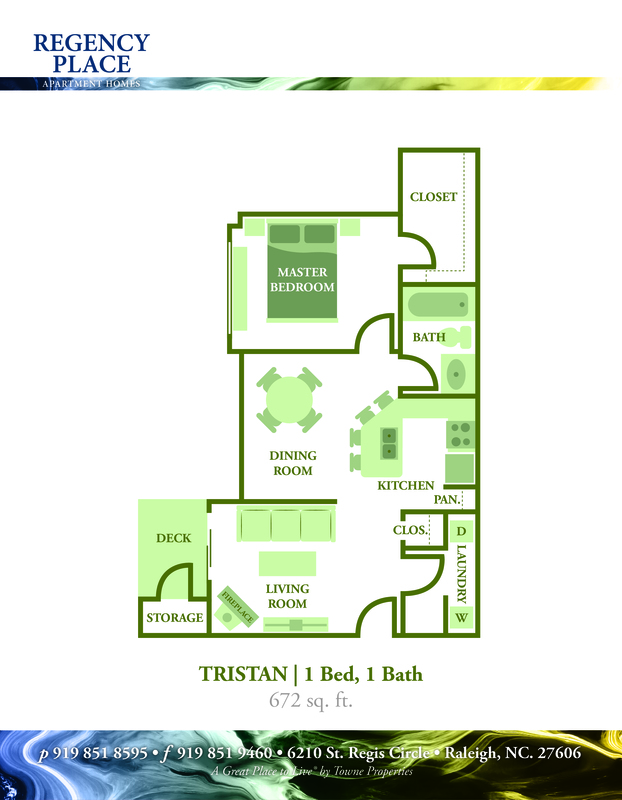 Below is a list of all the floor plans offered at Regency Place. Click on the floor plan image to open up a printable PDF. If you want to see what's available now, head over to our availability page. If you don't see your ideal floor plan on the availability page, give us a call or send us an email and we can tell you when that floor plan may be available. Tristan - 1BD/1BTH - 672 SQ. 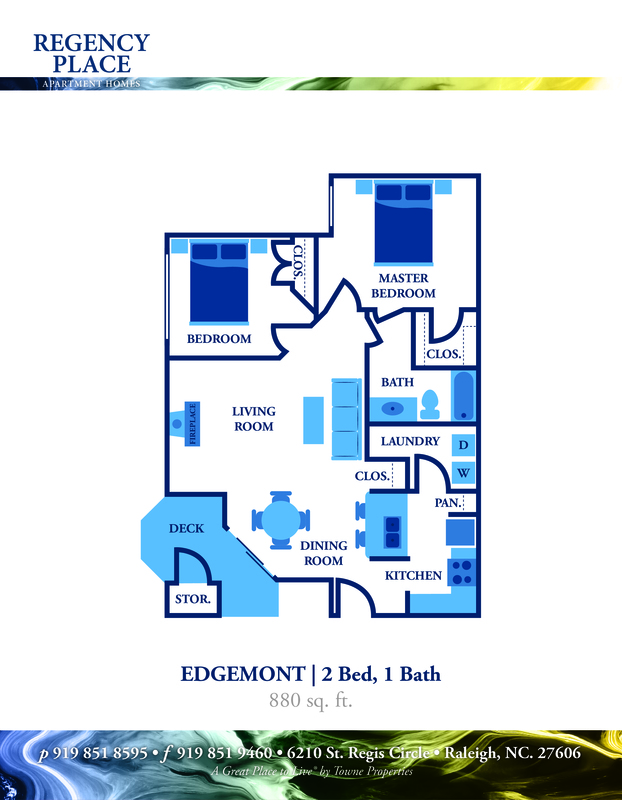 FT.
Edgemont - 1BD/1BTH - 880 SQ. 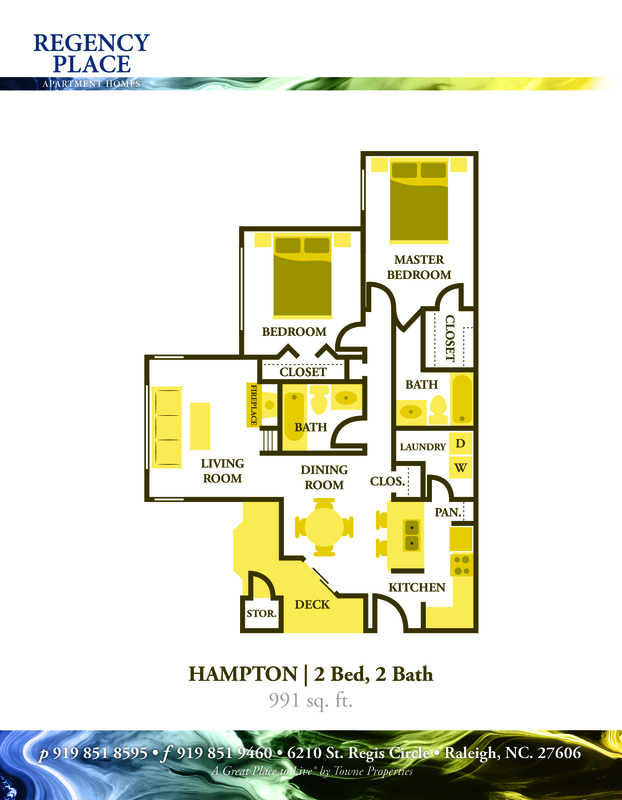 FT.
Hampton - 1BD/1BTH - 991 SQ. FT.